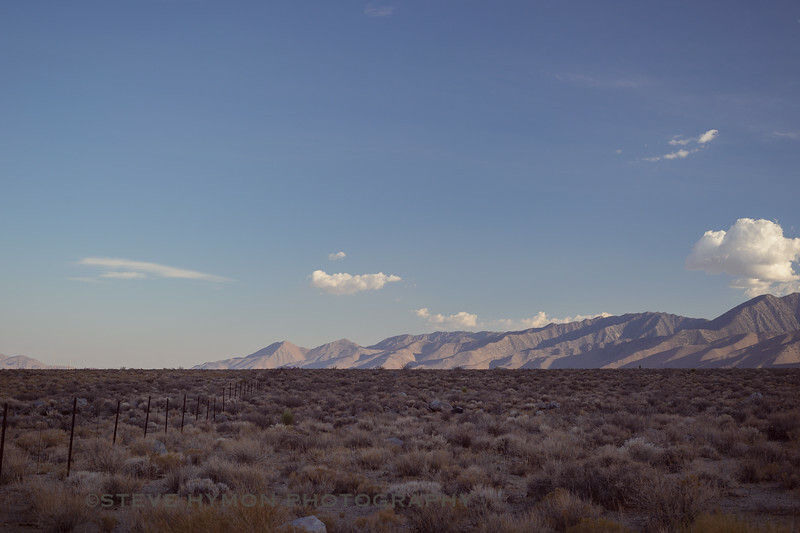 A few photos I took last month driving from Yosemite back to L.A. via the Owens Valley. 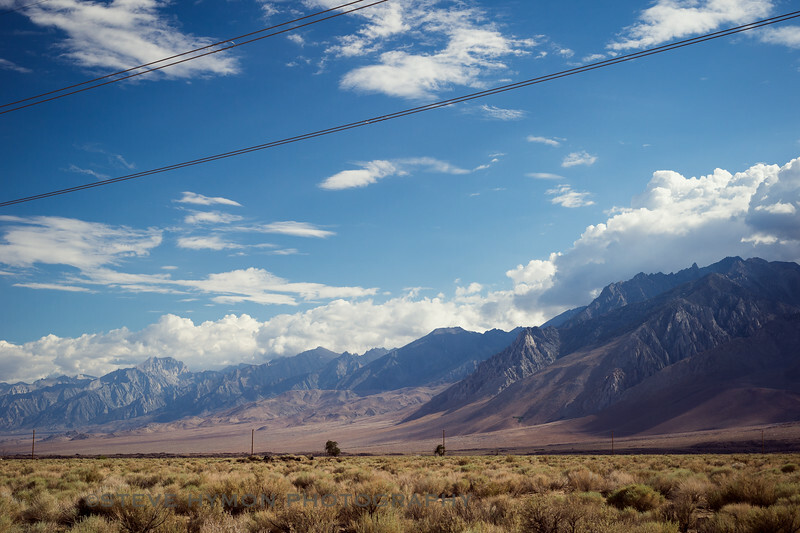 These are really just snapshots, mostly along the smaller roads that peel off U.S. 395, the main highway that runs down the spine of the Valley. 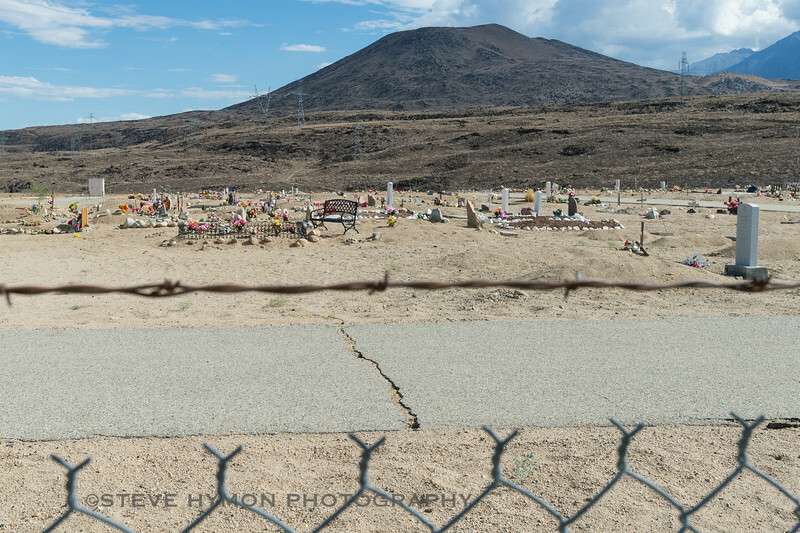 Woodman Cemetery, just south of Big Pine, was a surprise -- I had no idea it was there, just a few hundred yards from the road, a patch of graveyard scraped from the desert and beneath one of the Valley's ancient cinder cones. I'm not really sure I captured the place as well as I would have liked. But the gate was locked, probably to prevent vandals. For the most part, I went for the big view. Although many photographers like to say "get close, then get closer" to the main subject, I often feel like I want to get far, then get farther. I like putting tiny manmade objects (the truck in the top photo, electrical towers and fences and gravestones) in big scenes. 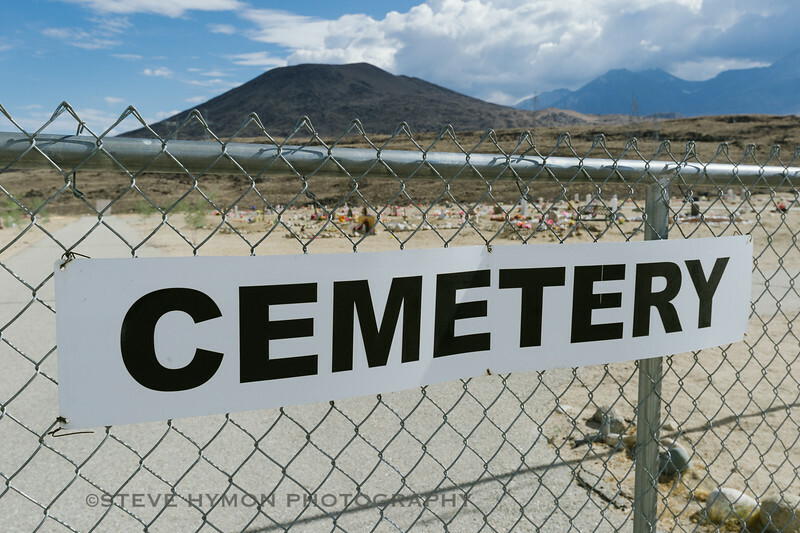 It doesn't bother me that some work is required from the viewer to spot the truck, gravestone, etc. In that spirit, the top photo is my favorite. 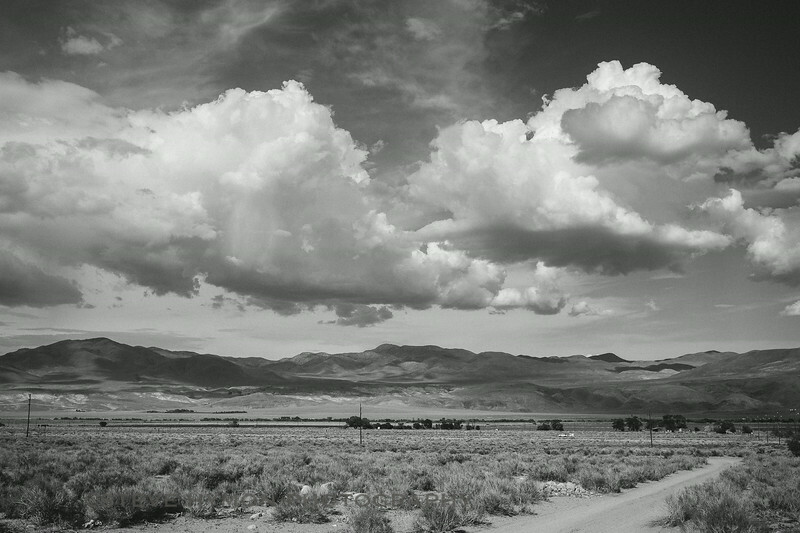 I like how the dirt road at bottom right helps lead the viewer's eye toward the highway in the distance and then, perhaps, the truck. 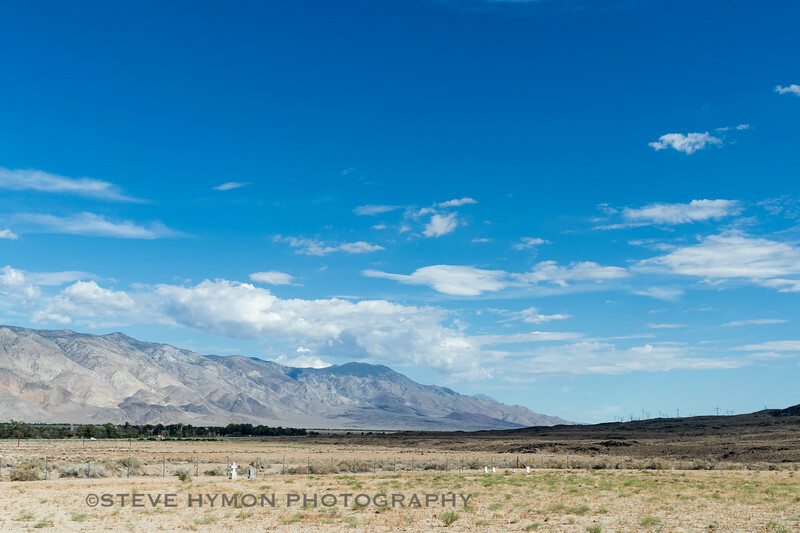 And that we see how the landscape of the Owens Valley still can tower over our roads and vehicles. All the above photos were taken with my Nikon Df, mostly with the 18-35mm 3.5 lens. I shot in RAW and converted the RAW pics to black-and-white. They were processed in Adobe Lightroom and Nik Software's Silver Efex. 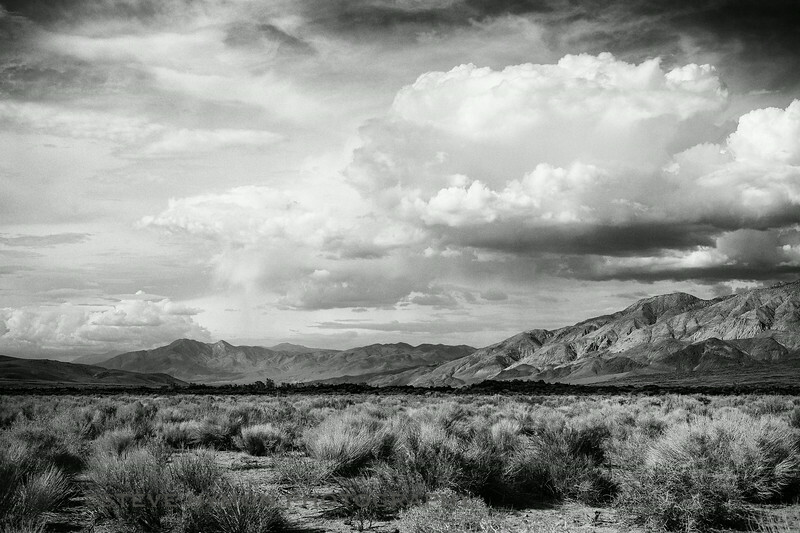 I also like shooting monochrome jpegs, but often find it's harder to make key adjustments if necessary. 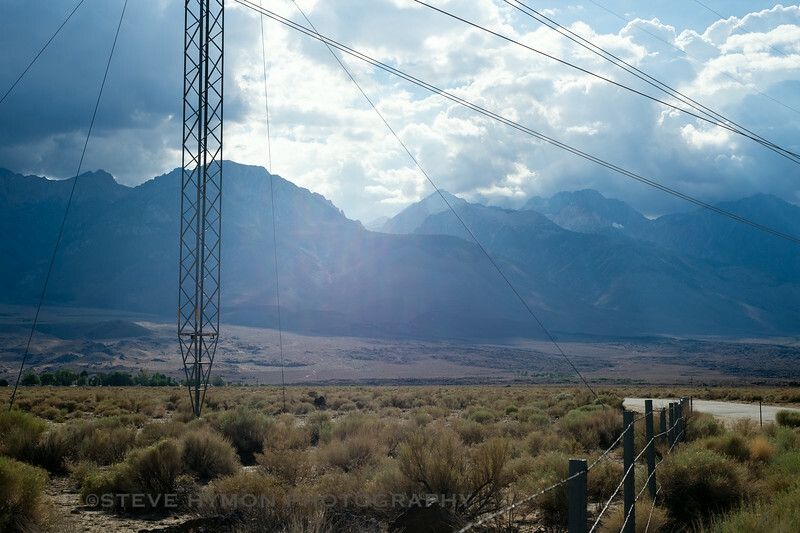 More Owens Valley pics here. And here's my main photo website for those interested in perusing, purchasing a print or licensing an image. The above photos are ©Steve Hymon and may not be used elsewhere or reproduced without my advance written permission. All rights reserved.